Last week we talked about Pan Am’s history in Miami and today I want to talk about the man whose contribution to the success of Pan American Airways is not well known or talked about. While this Russian Immigrant’s name is forever linked to helicopters he was in fact a very skilled, and versatile, aviation designer whose 50-year career included pioneering work on fixed wing aircraft, and flying boats, before focusing on his first love – the helicopter.The Russian immigrant I speak of is of course Igor Sikorsky and before we move ahead with the main article I have an interesting story to pass on about his departure from the USSR. Sikorsky immigrated to the U.S. in 1919, where, unable to find work in aviation, he taught Russian immigrants math and other sciences. 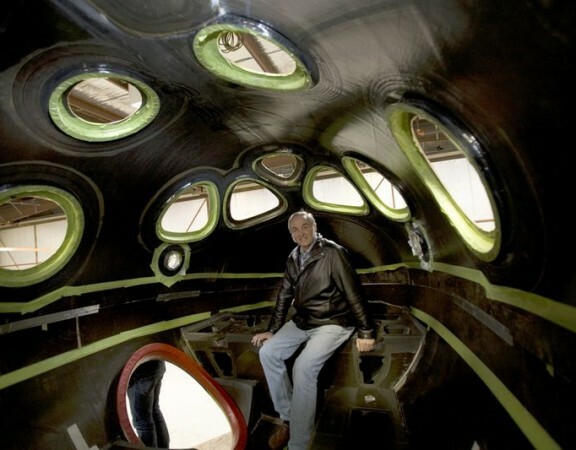 Within a few years, however, he had made connections with people who shared his interest in aviation and they persuaded him to start his own company. Opening the Sikorsky Aero Engineering Corp. on a friend’s chicken farm on Long Island, he began working on the S-29A, a twin-engine closed cabin aircraft. It wasn’t long before the company was facing financial difficulties, but a surprise visit by fellow countryman, composer Sergei Rachmaninoff, impressed by Sikorsky’s commitment, invested $5,000 in the business, about 100K in today’s dollars, and the rest of this story is history we all know; however, if the rest of the facts are a little fuzzy I think the main article below will bring things back in to focus. Today, Sikorsky’s name is synonymous with the successful development of three important types of modern aircraft: the large four-engine airplane, the giant flying boat, and the unique and versatile helicopter, each of which has played a vital role in the development of aviation. This pioneer of the air was born in Kiev, Russia (now Ukraine), in the late 1880s. One of his earliest recollections is of his mother telling him of Leonardo da Vinci’s attempts to design a flying machine. From that moment on the dream of flight captured his imagination, even though he constantly heard that flying had been proven impossible. Sikorsky firmly stuck to his belief, however, that the flying machine would become a reality. He tried, time and time again, to build a successful flying model from tissue paper and bamboo. Finally, at the age of about 12, Sikorsky made a model of a crude helicopter, powered by rubber bands, that rose into the air. Now he knew that his theory was not just a youthful dream. Years later, while vacationing in Germany with his father, he learned about the flights of Count von Zeppelin’s early dirigibles. He also read of the successful heavier-than-air flights of the Wright Brothers and was stunned that the newspaper reported such a great achievement in small type on its back page. At that moment, Sikorsky decided to make aviation his life’s work. His special goal was to develop a craft that could hover over one spot or fly in any desired direction; a helicopter. He began his experiments immediately, in the small hotel room in Germany where he was staying, by building a crude rotor and then measuring its lifting forces. When he returned to Kiev, he dropped out of the Polytechnic Institute and embarked upon extensive research in the embryo science. He was not quite twenty years old, with plenty of enthusiasm and ideas, but no practical experience and little money. Before long, he went to Paris to buy an engine and other parts for his helicopter. There, at the local flying field, the smell of burning castor oil and the sight of the crude, early planes attempting to fly left an indelible mark upon him. Soon he enrolled in a newly established, highly informal French school of aeronautics, though never once did the eager student have an opportunity to go aloft. While purchasing a three-cylinder Anzani engine, he met Louis Bleriot, who was also buying an engine for his new monoplane. A few weeks later, the daring Bleriot made aviation history by making the first flight across the English Channel, an epic event that had profound influence on the development of aviation. By mid-1909 Sikorsky had completed his first helicopter. But no matter how violently its twin, counter-rotating rotors thrashed through the air, the craft never showed the slightest inclination to budge from the ground. Sikorsky finally built a crude biplane and coaxed it a few feet into the air in June 1909. For twelve precious seconds, he had tasted success. In the months that followed, Sikorsky produced more prototypes, made more short flights, and an almost equal number of crashes, expected incidents in these early days. But he quickly used each wreck’s salvageable parts and rebuilt the wreck into the next improved model. He wasn’t discouraged by his first failure, for he had learned a great deal about helicopters and was sure that the next one, or the next one, or the one after that, would certainly fly. Early in the spring of 1910, Sikorsky’s second helicopter proved to be equally obstinate in lifting him. Sikorsky’s persistence had been admirable, but slowly he came to the sad conclusion that perhaps he was ahead of his time and should tackle a more conventional airplane instead. In the many years of his aeronautical career that followed Sikorsky never forgot his dream of building a truly successful helicopter. He soon earned his pilot’s certificate from the Imperial Aero Club of Russia and demonstrated his S-5 plane in the Russian Amy maneuvers near Kiev. There Sikorsky met the Russian Tsar, Nicholas II. Sikorsky’s next plane, the S-6A received the highest possible award at the Moscow aircraft show. But a seemingly minor incident in which a tiny mosquito clogged a fuel line and caused Sikorsky to make a forced landing proved to be fateful. That incident led Sikorsky to the idea of using several engines to increase his airplane’s reliability, a most unorthodox and radical concept for the times. Sikorsky proceeded to build a gigantic, four-engine, cabin type biplane of outlandish size for the times. It soon earned the nickname of the Grand. At the front the plane had a large open balcony. Behind the enclosed pilot’s cabin was a roomy passenger compartment. In May 1913 he made the first test flight in the Grand. This flight was a moment of great personal satisfaction, as many had told Sikorsky that such a huge airplane couldn’t fly. His faith in his ideas and his determination to stick to his convictions paid off. Tsar Nicholas II came to inspect the Grand and presented Sikorsky with with an engraved gold watch for developing aviation’s first four-engine plane. Enthusiastically, Sikorsky built an even larger four-engine airplane, the Ilia Mourometz. It had an open bridge atop the fuselage where brave passengers could stand and enjoy the scenery passing by below. The big craft created a sensation in military circles and Russian Navy representatives came to Petrograd to see one equipped with pontoons. With the assassination of the Archduke Franz Ferdinand of Austria, Russia was soon engulfed in World War I. Sikorsky’s Ilia Mourometz was converted into a bomber that became the backbone of the Russian aerial offensive against the Germans. Altogether, the planes participated in over 400 raids and only one took damage from anti-aircraft fire. When the Bolshevik Revolution swept Russia in 1917, Sikorsky decided to leave his native land. Leaving behind all of his personal possessions, he fled to Paris in the summer of 1918, where he began to design a large bomber for the United States Army Air Service. But the Armistice ending World War I put a stop to his work. A few months later, Sikorsky culminated a life’s dream when he immigrated to America. He had no friends in the United States and only $600 in his pocket. But he had been inspired to come because he believed that in the United States a man with ideas of value had a chance to succeed. For a brief while, he worked a temporary job at McCook Field at Dayton, Ohio, helping to design a super-bomber. But the conventional wisdom at the time was that aviation was a dying industry, and Sikorsky returned to New York, out of a job. Unable to find a job in aviation, Sikorsky turned to lecturing Russian immigrants in mathematics and astronomy. Meanwhile, he visited the local flying fields and wistfully watched the planes of others fly. 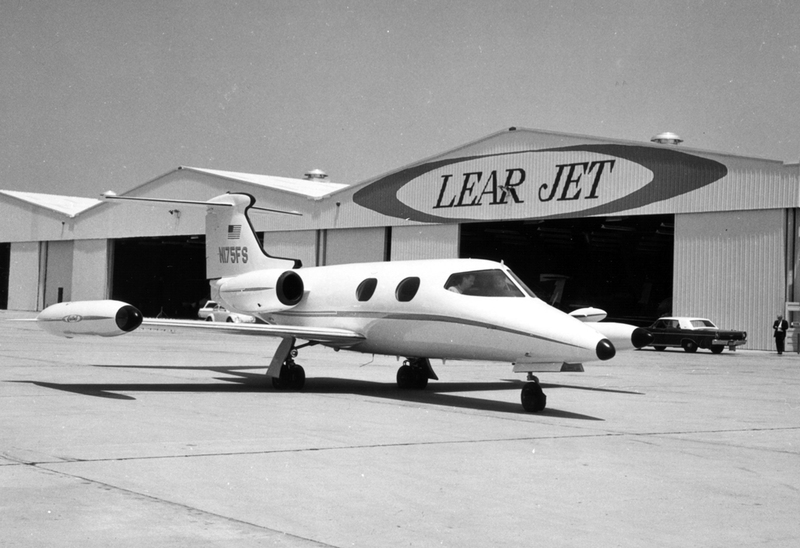 He began to include aviation in his lectures and secured several pledges of financial backing to re-enter aviation. Encouraged, Sikorsky designed a twin-engine commercial airplane capable of carrying 12 to 15 passengers, the forerunner of the modern airliner. As Sikorsky raised more cash, construction began in a barn on a chicken farm on Long Island. But there was never enough money for all new parts and he used many salvageable parts from local junkyards. The engines were second-hand and from World War I. Finally, the great Russian composer, Sergei Rachmaninoff, came to the rescue with a $5,000 subscription. When the new plane was ready for its initial test flight, eight of his employees crowded aboard. Sikorsky knew that it is a mistake, but didn’t have the heart to put them off. After a slow takeoff, the engines lost power and he made a forced landing, severely damaging the plane. This appeared to be the end for his company. Sikorsky had learned years before not to become easily discouraged and in a few months he had rebuilt the plane into the S-29-A. The “A” in its name stood for “America.” The S-29-A soon proved to be a remarkably good airplane and a financial success. Finally, the colorful Roscoe Turner bought the plane for charter flight and airline use. Later he even converted it into a flying cigar store. In 1926, the entire aviation world was excited by the $25,000 prize that had been offered to the first person to fly non-stop between New York and Paris. Sikorsky was asked to build a large trimotor-biplane for the French war hero, Rene Fonek, who planned to capture the prize. The crew rushed through some of the final preparations before they had completed all of the tests on the plane. During the takeoff run, the overloaded plane ran down an embankment. Within seconds, it became a roaring inferno. Fonk miraculously escaped, but two of his crew members died. Almost immediately, the plucky Frenchman ordered another plane built for a second attempt to capture the prize. But before it was completed, an unknown, Charles Lindbergh, finished his epic solo flight across the Atlantic and captured the prize and the admiration of millions of people. Once again Sikorsky’s company was struggling for its very life. 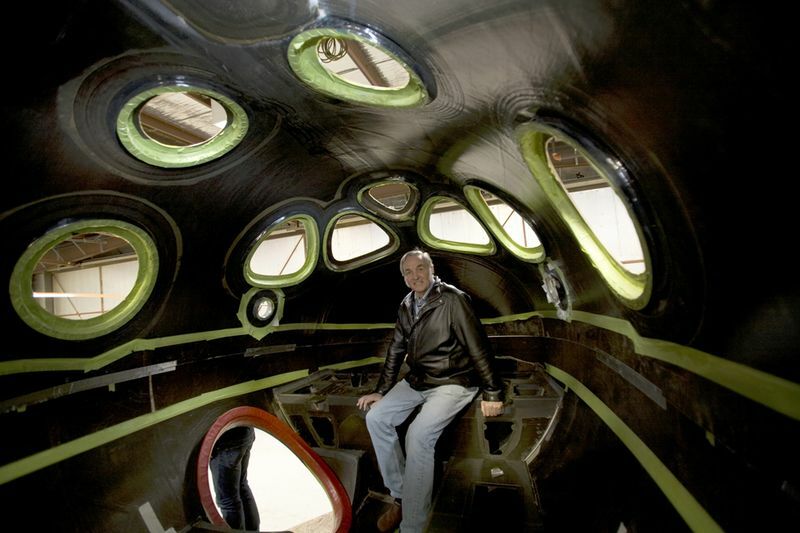 At this point he decided to build a twin-engine amphibian. It proved to be a very practical and serviceable craft and he built a fleet of them. Almost immediately, Pan American Airways used the planes to pioneer its new air routes to Central and South America. Soon Sikorsky had more business than he could handle! 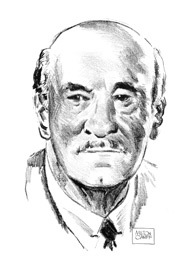 He reorganized his company and constructed a new plant at Stratford, Connecticut. 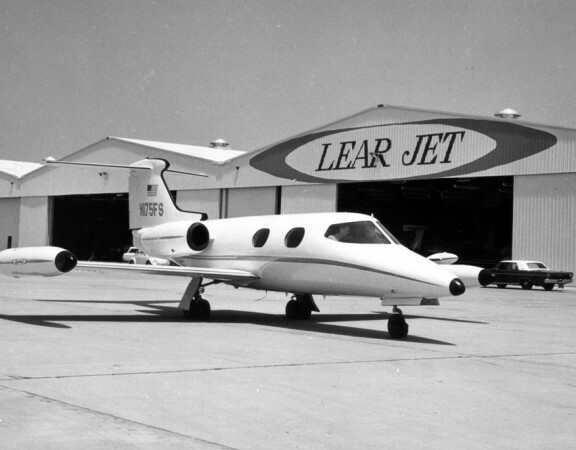 This plant became a subsidiary of the United Aircraft Corporation a year later. Before long, Sikorsky was invited to build a very large sea-going air transport plane for Pan Am to pioneer in the transoceanic field. His majestic American Clipper would go on to become the second of the new type of aircraft that Sikorsky contributed to aviation. It was nearly twice as large as other planes of the day and after Mrs. Herbert Hoover christened it, Charles Lindbergh captained its maiden flight from Miami, Florida to the Panama Canal in late 1931. This great flying boat became the forerunner of a whole series of “Clipper” ships that established American air routes across all of the oceans. Among the foremost of these was the S-42, completed in 1934. With its great range and speed, Lindbergh was able to set eight world’s speed, distance and payload records in a single day! 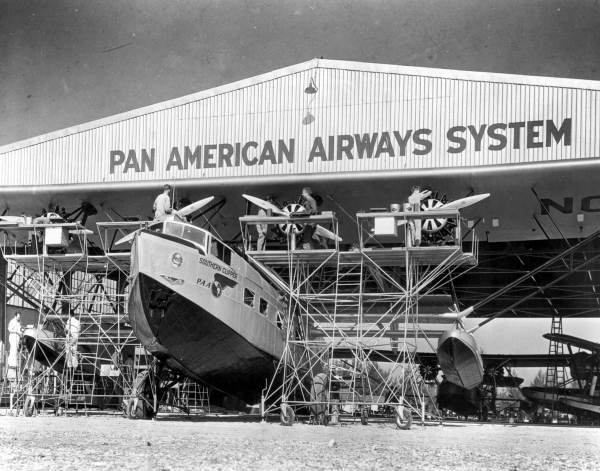 Soon afterwards, Pan Am used the flying boat to inaugurate air travel between the United States and Argentina. Six months later, another Clipper took off from Alameda, California and opened the airline route to Hawaii. This was followed by other flight routes extending eventually across the Pacific to New Zealand. In 1937 another Clipper made the first regular airline crossing of the North Atlantic. Now Sikorsky’s great transoceanic planes are successfully engaged in commercial crossings of both major oceans. Throughout all of these successful years, Sikorsky never forgot his dream of building a practical helicopter. He never thought of it as a flying machine but rather as a dream that he wanted more than anything else to see realized. In 1939 he finally realized his lifelong goal when he developed his first practical helicopter. But it represented such an entirely new and difficult problem that he had to devote himself completely to its solution. It was a challenge that had called for all of his intellect, energy, and love of flight. But this achievement had been his chance to live his life again at the threshold of a new challenge, to design a new craft without knowing how it should be done. The helicopter had been a personal goal for more than three decades when he began to design his new craft in the spring of 1939, using ideas that he had thought about for the past ten years. By September, it was ready for its first tests. It had one main lifting rotor and one small rotor at the end of its tubular fuselage to counteract the torque. It also had a unique system of changing the angle of the lifting rotor blades as they revolved. In the unbelievable short span of half a year Sikorsky solved one of aviation’s unsolvable problems. As he added refinements, Sikorsky established the first helicopter endurance record of one hour, five minutes and 14 seconds in 1941. Two days later, he took the float-equipped craft off of both land and water. 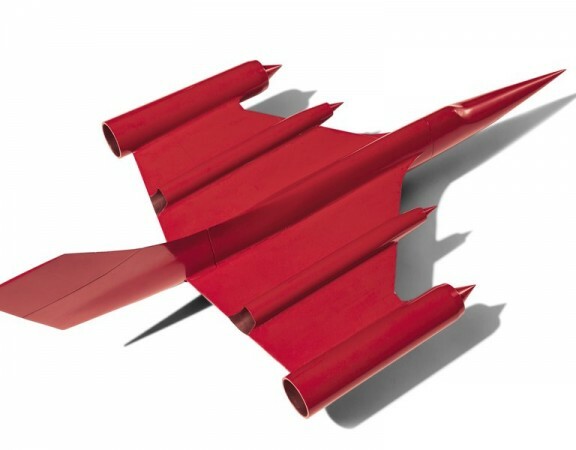 Now he achieved his third important contribution to aviation: a contribution born from a dream of a strange new craft, that was to write an unbelievable story of service to mankind and which would astonish the world with its ultimate maneuverability in the air. But more than all else, it was to be a monument that must be dedicated to a man who had an abiding faith in a great dream, and an ever greater faith in himself to achieve it. Take a look at the table below that details the Sikorsky aircraft that allowed international travel to be a reality, have a good weekend, and enjoy time with family and friends. S-29A 1 5/4/1924 Twin engine, 14 passenger aircraft, cruised at 100 mph. S-30 0 None built. Planned to be a 10 passenger, twin engine biplane. S-31 1 1925 Designed for air mail service. Could also be used for observation/bomber, photographic service or carry five passengers. S-32 1 1926 Used for ferrying supplies for the Andean National Corporation, a subsidiary of The Standard Oil Company. S-33 2 1925 Two place wooden biplane used a Gluhareff-Sikorsky wing design. S-34 1 1926 Igor Sikorsky’s first amphibian. Carried six passengers. S-35 1 8/23/1926 Three engine aircraft built to compete for the first non-stop flight across the Atlantic. S-36 6 1927 Modified and enlarged version of the S-34 with an enclosed cabin for passengers and cargo. S-37 2 1927 Commercial version sold to Pan American Airways International to make survey flights for future commercial air routes. Military version, S-37B, tested as a bomber for the U.S. Army Air Corps. S-38 111 6/25/1928 Twin engine amphibian, carried 8 passengers and a crew of 2. Under designation XJS-1, this was the first Sikorsky model purchased by the U.S. Navy. Established three International F.A.I. records. S-39 21 1930 300 HP single engine derivative of the S-38. Carried five passengers. Established two International F.A.I. records. 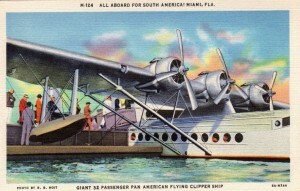 S-40 3 8/7/1931 “The American Clipper” carried forty passengers and was designed and built for Pan American Airways. S-41 7 5/4/1930 Amphibian carried sixteen passengers. S-42 10 3/30/1934 Carried 35 passengers. It established ten world records during its service with Pan American Airways. S-43 53 6/1/1935 “Baby Clipper”. Carried 15 passengers – was used in military and commercial service. Established four International F.A.I. records. S-44 3 2/10/1942 Built for American Export Airlines for non-stop transatlantic service. S-45 0 100 passenger, six engine flying boat concept for Pan American.